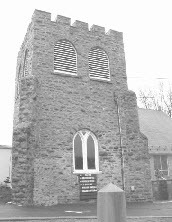 Zion Lutheran Church is the resting place of the Van Billiard Family. Mr Austin van Billiard and his two sons, James William and Walter John perished aboard the Titanic on April 15, 1912. Mr Austin Blyler van Billiard, was born on 9 February 1877, the only son of James van Billiard, a successful marble merchant. At the turn of the century Austin emigrated to Europe to find work during the arrangements for the Universal Exposition that was opening in Paris, France that same year. Austin found work, as an electrician, and he prospered. It was while working in France that he met his English wife, Maude Murray (b. 13 April 1873), whose father was in Paris on business. The two were married on 3 November 1900 after only a few months courtship. The couple soon had two children: James William (b. 20 August 1901) and Walter John (b. 28 February 1903). 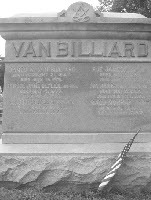 In 1906 the van Billiard family decided to try their luck at diamond mining and, therefore, emigrated to Central Africa. Here they lived a harsh existence and two more children were born. In 1912, however, Austin had decided to return back to America to work as a diamond merchant. They first returned to London, England on board a French steamer, after smuggling their children on board. Maude’s parents lived in London. Austin decided to take his two eldest children with him to America ahead of the rest of the family. He and his two sons boarded the Titanic at Southampton as third class passengers. The body of his son Walter was also found but James’ body, if recovered, was never identified. 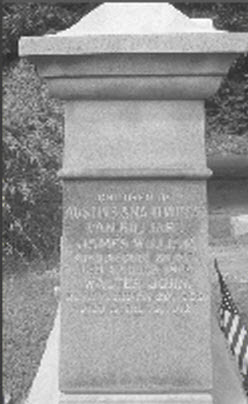 Austin’s wife Maude eventually make the trip to North Wales, Pennsylvania with her two remaining children: she never remarried and died in a nursing home on 17 January 1968, aged 94.